The city is known for its historical center with canals, and for having the tallest windmills in the world. Schiedam's project-based approach is in many ways very interesting. 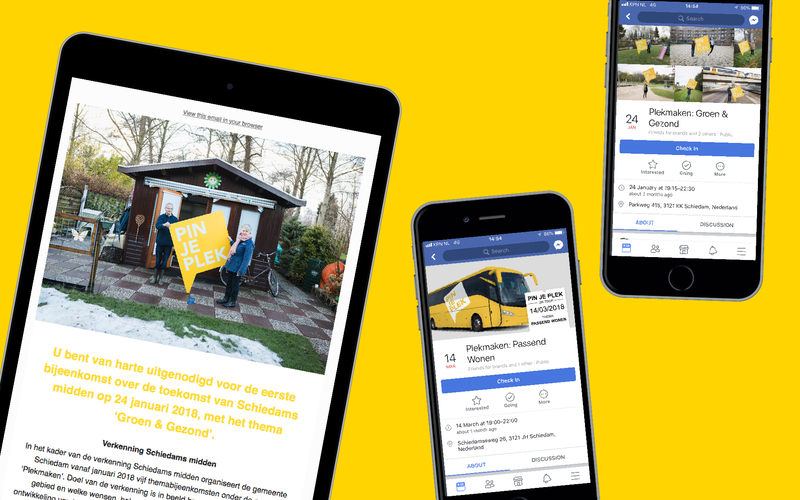 In short periods of time Schiedam gathered input around very specific themes which quickly led to over 200 registered users. 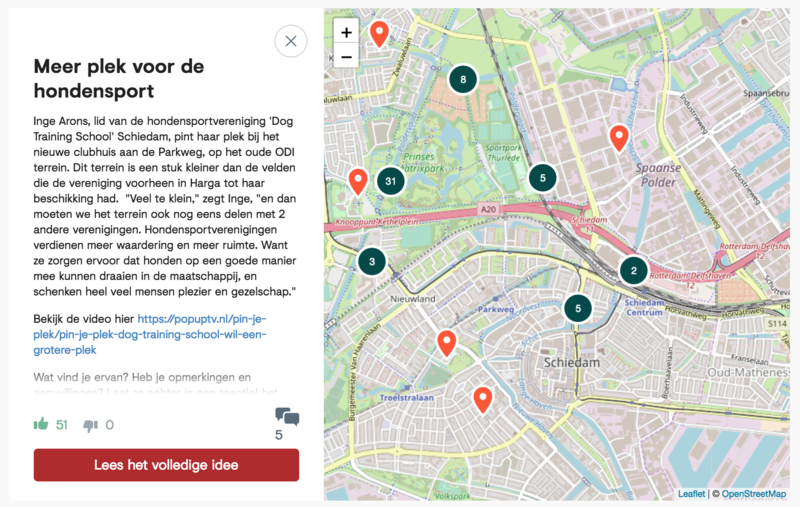 Either this success was reached through an area-based approach ("Mark your spot!, or an online mapping method) in which citizens could pin their idea on a map either they focused on collecting comments and proposals about the state of tens of tunnels in Schiedam which are in need of renovation. A clear visual identity together with linking what happens online with what happens offline, are important methods to get your target audience involved. Citizens can also easily pin their ideas on a map inside the platform.